You might not be aware of the fact that the following three different storage architecture configurations are currently available for desktop and laptop computers: Exclusive use of solid-state drives (SSD), exclusive adoption of traditional hard disk drives (HDD), and combined use of solid-state drives and hard disk drives. As far as reliability and economy are concerned, flash storage arrays with a combination of traditional hard disk drives and solid-state drives currently enjoy great popularity. SSDs make up for the deficiencies of HDDs in the field of random I/O performance, while HDDs are used to balance costs and provide longevity in the field of data services. In other words, by using a mix of a small percentage of SSD and a larger percentage of HDD, computer users are able to meet the high I/O demands of key applications, while HDDs provide storage services for other applications. This creates an optimal balance of cost and performance. The reading and writing speed of Kingmax 2.5” SSD SME Xvalue reaches impressive values of 540MB/s and 300MB/s, respectively. This product allows consumers with a limited budget to experience the pleasure of stunningly smooth operations. In addition to high performance and excellent stability, SME Xvalue has undergone rigorous testing including anti-shock and drop tests. Quiet and low-noise operations with high speed performance create an excellent user experience. SSDs are also a great boon for users with a large amount of scattered images, audio and video files, and document files on their drives and provide greater file management efficiency. Resource demanding games that usually take two minutes to load can be launched in 30 seconds if SSDs are used. The performance leap after the upgrade to SSDs will leave users gasping in awe when first experienced. Slow computer speeds will be a thing of the past. 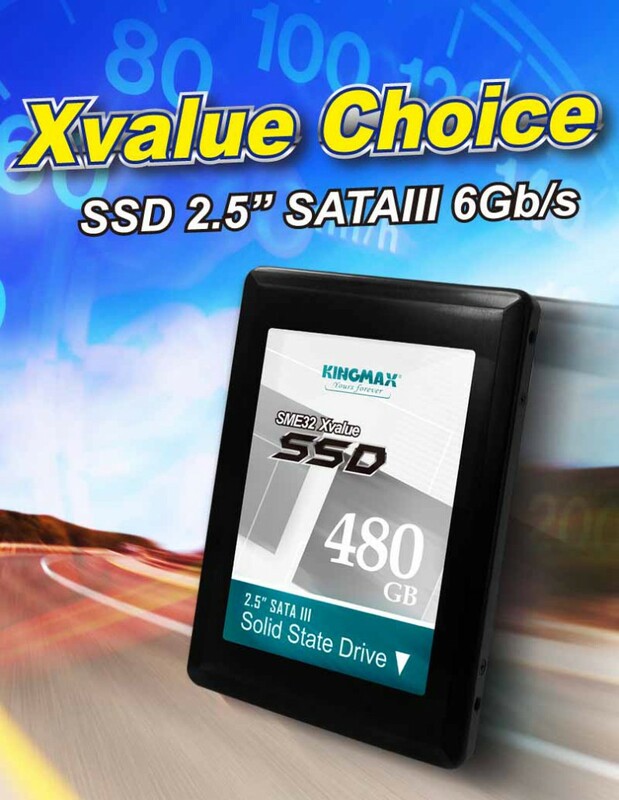 This exceptional solid-state drive from Kingmax provides consumers with optimized storage services!